The III Oleh Krysa International Violin Competition will take place in Lviv, (Ukraine) during the period of October 17-27 2019. The founder of the competition is the Ukrainian NGO “Artistic association ‘World of Classical Music’”. Contestants must be between the ages of 15 and 29 on the opening day of the competition. Registration of accepted participants will take place on October 18, 2019, at the premises of the Organizing Committee. The drawing of lots will take place at the philarmonic hall on October 18, 2019. Please note that all materials should be received electronically or arrive in the competition office by July 10, 2019. Applications that are not received by this date will not be accepted. The review of the candidates applications will be completed and candidates will be informed of their participation in the competition no later than July 15, 2019. Materials submitted to the competition will not be returned. The Organising Committee will send each applicant an acknowledgement that their application has been received. Incomplete applications or those sent without the above documents will not be accepted. The Organizing Committee reserves the right to request additional material for a candidate’s application. All information posted on the official website is correct at the time of publication. The Organizing Committee reserves the right to make changes if circumstances demand it, but not during the last two months before the competition. Any dispute or misunderstanding regarding the rules and regulations of the competition will be resolved using the Ukrainian version. Winners of international competitions, members of the EMCY or WFIMC (World Federation Of International Music Competitions), are allowed to participate without pre-selection. In this case, instead of DVD-recording must be attached to the application documents confirming participation in the competitions that are members of EMCY or WFIMC (World Federation Of International Music Competitions). The candidates recording should be unedited and in DVD format, recorded in the time period of 01.06.2018 to 01.07.2019. Each individual work should be fully recorded, on one track from beginning to end, with no audio or video editing. However, individual works may be recorded on different days. The DVD recordings will be reviewed by a qualified jury invited by the Organizing Committee of the competition. In addition to the application, each participant must pay a non-refundable entrance fee of 100 Euro. Participants must pay the fee into the account of the GO “MO “Svit klasychnoyi muzyky” (Lviv). Beneficiary’s bank: PrivatBank, DNEPROPETROVSK, UKRAINE. SWIFT CODE: PBANUA2X. Contestants and their accompanists must provide insurance for themselves and their instruments throughout the period of the competition. Upon entry to Ukraine, each participant is required to declare their instrument and show supporting documents of ownership to the Ukrainian customs authorities. If a participant plays a rented instrument of high value, appropriate documents certifying their right of use must be provided. Applicants who have been invited to attend the competition and reside in a county which requires a visa for entry into Ukraine should contact their nearest Embassy (Consulate) of Ukraine to apply for a visa. The Organising Committee does not provide any type of insurance for contestants, their accompanists and other persons accompanying them. * Bonus is paid in UAH according to National Bank of Ukraine as of 10th of July 2019. According to the Law of Ukraine, tax on income in the amount of 18% and the military fee in the amount of 1.5% will be additionally subtracted from the total sum of bonus. Depending on the results of the judging process the jury has the right to not award all of the prizes. Each participant reaching the II-round will be awarded with an honorary diploma marking them as a participant of an international competition. With the consent of the Organizing Committee, additional prizes may be created by other national, commercial, public or artistic organisations, whether Ukrainian or foreign. Such prizes must be coordinated with the Organizing Committee before the start of the Competition. The finalists of the competition and their accompanists are obliged to take part in the closing ceremony and the prize winners’ gala concert. In agreement with the Organizing Committee, the winners — the laureates of the first three prizes are obliged to participate in two concerts in favor of the IV Oleh Krysa International Violin Competition, for which they will not receive financial reimbursement. The Competition closing ceremony, awards presentation and prize winners’ gala concert will be held on October 27, 2019. Every round of the competition is open to the public. All works must be performed from memory, with the exception of the works: sonata performance in the II round and the Yevhen Stankovych concerto in the final round. The performance order of the I round is determined by a drawing of lots and is kept throughout the duration of the competition. The order of performance may be changed by the jury only in exceptional circumstances involving sickness, injury or force majeure. During the competition all participants are provided with the services of an official accompanist, including one rehearsal before the I and II round. Participants reaching the final round will have one rehearsal with the orchestra. Candidates may come to the competition with their own accompanist. Before each round, contestants will be given a rehearsal room and also time in the concert hall for an acoustic rehearsal. All rounds of the competition may be recorded for future broadcast and production on audio and video media. Contestants are obliged to sign a document which confirms the absence of claims, including those of financial compensation, for any of the competition materials used by the Organizing Committee and its authorised representatives. Contact between competitors and members of the jury is strictly prohibited for the duration of the competition. Any violation of this rule will result in disqualification from the competition. The results of the jury’s deliberation will be announced at the end of each round of the competition. The decisions of the jury are final and are not subject to correspondence. Chairman of the jury – Oleh Krysa, Internationally renowned violinist. The members of the international jury will be announced before the opening of competition. is a winner of numerous national and international competitions. They include the Chopin competition (Kiev, 1st prize), Neuhaus competition (Kirovograd, 3rd prize), Chopin competition-festival (Poland, Przedborz, 1st prize) and Chopin competition-festival (Dnipropetrovsk, 1st prize). He is a graduate from the School of Arts in Volochisk, Khmelnitsky, where he studied with Prof. T. Polishchuk. He continued his studies at the Kiev Lysenko Specialized Musical School with Prof. N Naidich and the P. I. Tchaikovsky National Music Academy of Ukraine with Prof. B. Arhimovicha and Prof. N. Tolpygo. He has taken part in masterclasses with V. Rudenko (Russia), E. Stefanski (Poland) and B. Bloch (Germany). 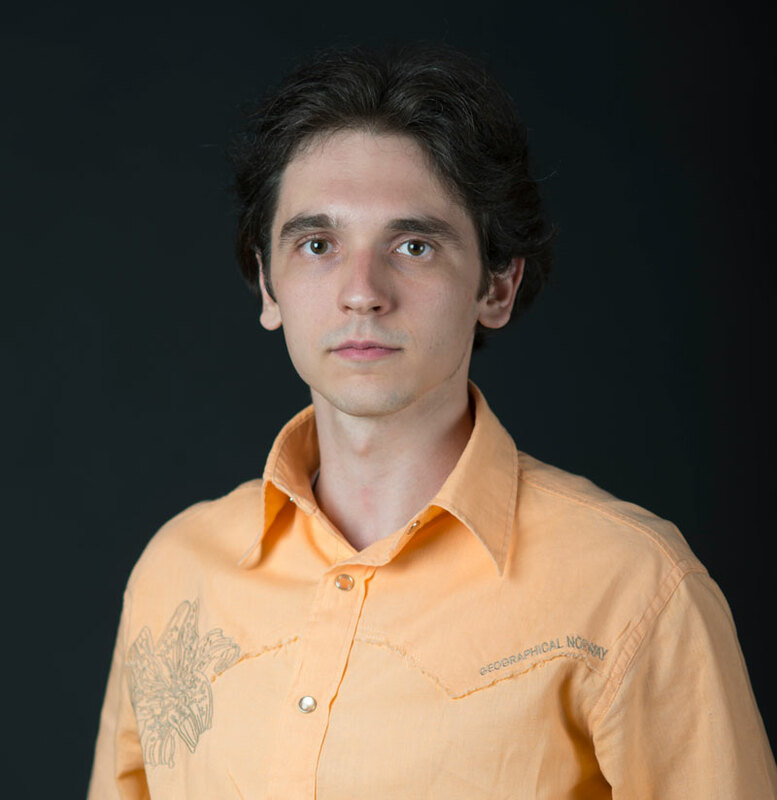 He was invited as an official accompanist to various violin and vocal competitions, including the B. Dvorionas International Competition (Vіlnius), N. Lysenko International Competition (Kiev), B. Hmyria International singing competition (Kiev) and O. Krysa International Violin Competition (Lviv). The basis of his repertoire includes works by Bach, Mozart, Beethoven, Schubert, Schumann, Liszt, Chopin and Prokofiev, the most striking of which include all of the Chopin Etudes op.10, Liszt Transcendental Etudes, two concertos of Franz Liszt for piano and orchestra, Symphonic Etudes by Schumann, 5 cello sonatas by Beethoven, 6 "Mannheim" Mozart sonatas, three violin sonatas by J. Brahms and two violin sonatas of Prokofiev. Denis Yavorsky has performed internationally in the concert halls of Ukraine, Poland, Czech Republic, Germany, France, Ireland and China.